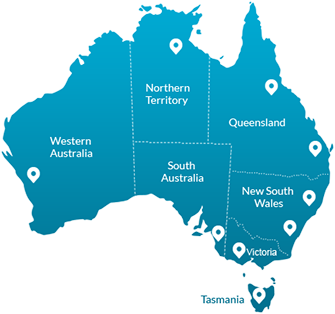 Testel Test and Tag Victoria is a quality service provider of electrical safety testing in all locations across the State. Our qualified technicians provide a wide range of electrical testing processes in the Melbourne metro area and the regional and rural parts of Victoria. Electrical testing involves the inspection of electrical devices, appliances and systems in and around the home, workplace or any other building that houses electrical infrastructure. The problem with electrical system degradation is that in many cases it can’t be seen by the naked eye. Special equipment is usually needed to identify where the issues are or where there is some weakness in the system or appliance that is likely to cause an issue in the future. This is where TestelTest and Tag Melbourne technicians can help. By engaging us as a preventative measure, our technicians are able to potentially identify an issue before it leads to serious damage and danger. At Testel Test and Tag Victoria we have assisted countless clients in a range of electrical safety testing, such as: Portable Appliance Testing (PAT); Residual Current Device (RCD) Testing; Power Outlets Testing; Emergency and Exit Light Testing; and, Microwave Leakage Testing. When conducting a quality electrical testing service, Testel’sTest and Tag Melbourne technicians consider a range of characteristics that canimpact the effective and efficient functioning of an electrical system or device. These might include such features as the wiring, invisible electrical faults, the age of the system, how much it is used, where it is located and whether it is exposed to harsh environmental conditions, whether the item is really appropriate for what it is being used for, earthing and bonding. Our Testel Test and Tag Victoria technicians are qualified electricians and have extensive experience in assisting a range of clients and customers, including landlords, real estate agencies, employers, managers, staff, homeowners and renters. We provide periodic inspections that ensure current and future electrical safety and compliance with OHS Australian Standard AS/NZS 2293. Whatever your situation, geographic location and electrical testing requirement, let our team at the Testel Test and Tag Melbourne branch help. Contact us by phoning 1300 881 116 or emailing us to book an inspection or to enquire about our services.